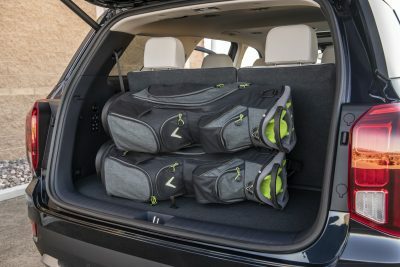 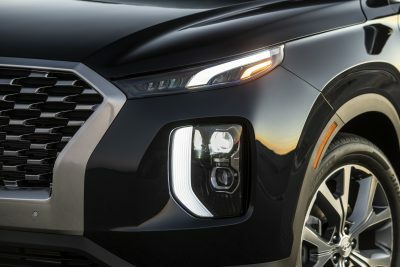 Following a very meticulous teaser campaign that revealed an all new Hyundai three row SUV was indeed in the works to replace the long running and outgoing Santa Fe XL (as well as a sneak peek we received at a recent company event,) the Korean car giant has finally confirmed what many had suspected, the arrival of the 2020 Hyundai Palisade. 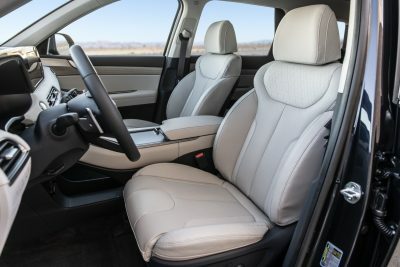 The exterior styling of the Palisade is still very utilitarian, but Hyundai designers managed to incorporate plenty of lines and curves into the design. 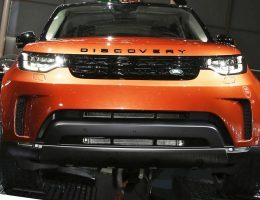 This is especially apparent in the front and rear fascias, with these areas featuring the bulk of the curves and creases that are in this otherwise square-ish SUV. 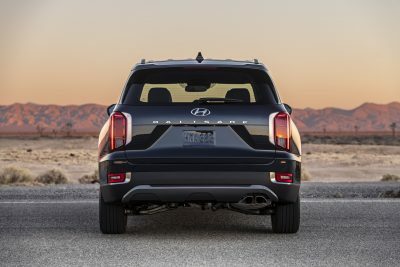 Sleek LED infused headlights and a prominent front grille solidify its luxurious intentions, while the large taillights further amplify the strong and sophisticated character that oozes out of the Palisade when viewed by passersby. 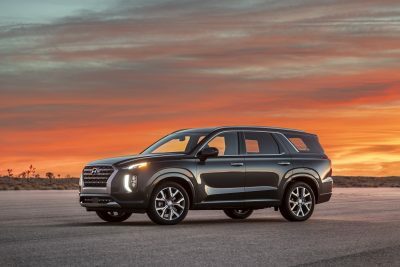 Hyundai is also quick to point out that the Palisade features harmonized lighting for the front and rear (a very neat touch) and that it still shares a family resemblance with the smaller but equally upscale Santa Fe model. 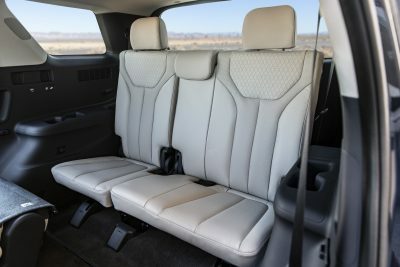 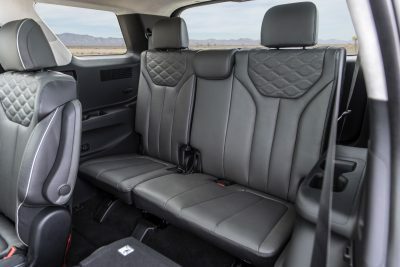 The interior of the 2020 Palisade is also a noticeable improvement over Hyundai’s prior attempts at three row SUVs. 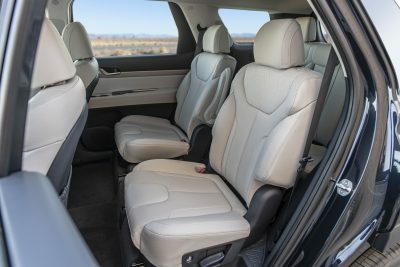 Like before, the Palisade can hold up to eight passengers in comfort, but whereas the outgoing Santa Fe XL, and even the long forgotten Veracruz seemed like half baked solutions to a broader problem, the Palisade is perhaps the most focused offering yet. 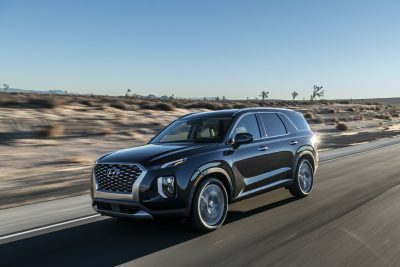 For example, the Palisade remedies the narrow entry and exit points that plagued the Santa Fe XL, and now offers passengers more room to move about, while still retaining the airy comfort that they come to expect from a dedicated people hauler. 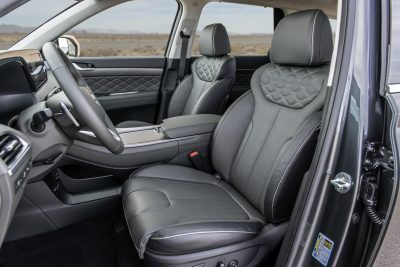 The second row seats feature one touch operation, while the 3rd row seats feature power folding and unfolding capability, as well as a power recline function. 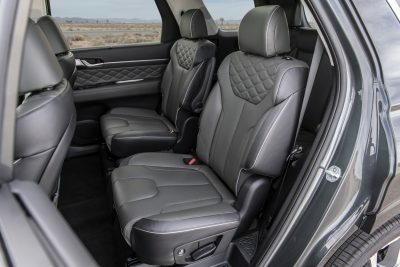 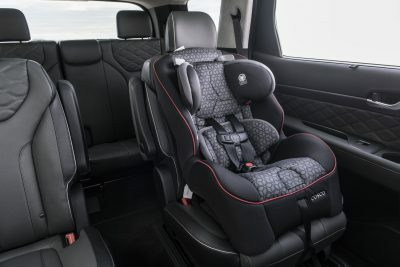 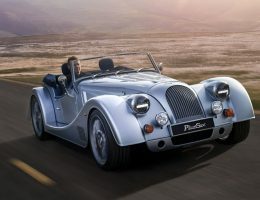 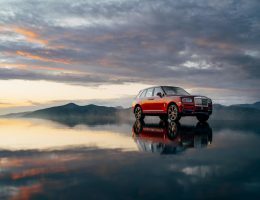 The front occupants are also coddled in luxurious comfort, with high quality materials, as well as meticulous attention to detail scattered throughout the interior. 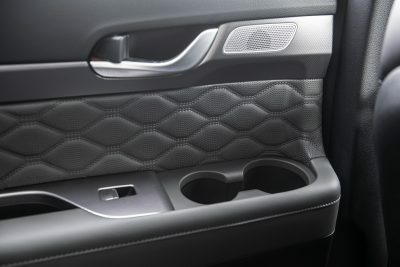 Many of the buttons and switches here are ergonomically placed in a very sensible and usable fashion, with a floating storage console enhancing both practicality and the overall design at the same time. 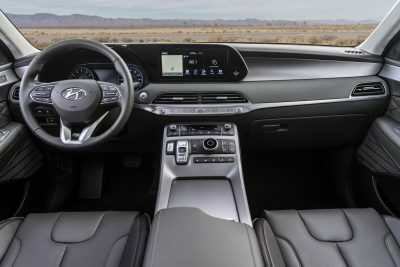 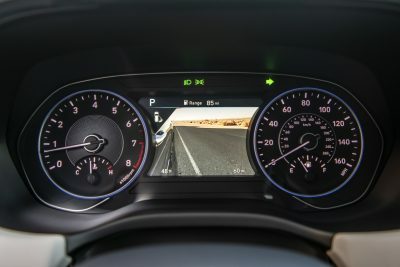 A bold 10.25 inch touchscreen infotainment system is standard in the Palisade, while an optional 12.3 inch TFT gauge cluster brings digital gauges to a Hyundai SUV for the first time ever. 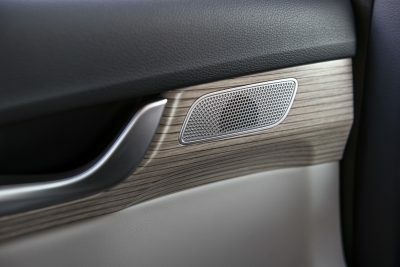 The Palisade also takes a page out of Honda’s playbook, and brings an all new car intercom system to the mix. 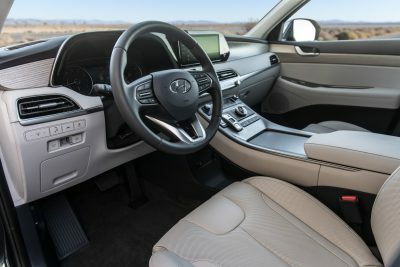 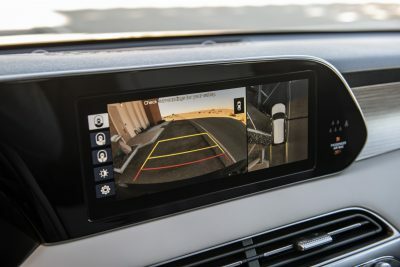 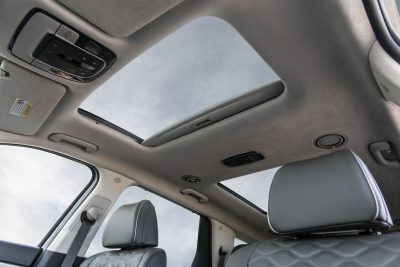 Like the fore-mentioned CabinTalk technology wielded by its Japanese rival, Hyundai’s system allows front seat occupants to communicate to rowdy rear passengers through the rear speakers, and is a sign that this unique solution to reducing driver distractions is slowly filtering its way into other SUV entries. 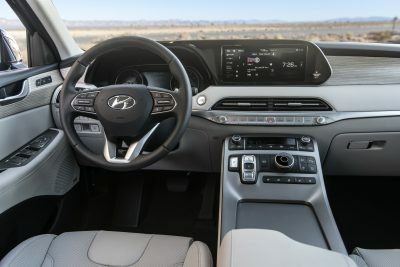 Lastly, Hyundai is continuing the budding relationship that it has formed with sound system maker Infinity, and like in the Santa Fe, the Palisade will feature a potent luxury focused sound system. 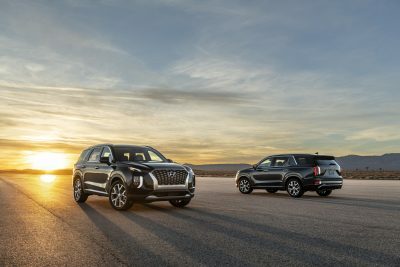 We liked our last sampling of Infinity’s wares in the Santa Fe, and we look forward to hearing the audio vibes generated by the Palisade. 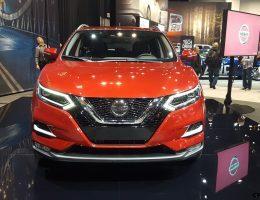 Buyers looking for V8 power will not find it in the Palisade, with a 3.8 liter V6 being the sole engine available for all models. 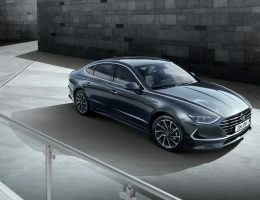 The engine does share some of its DNA with the V6 used in Genesis offerings, but is in fact an all new engine with unique DNA. 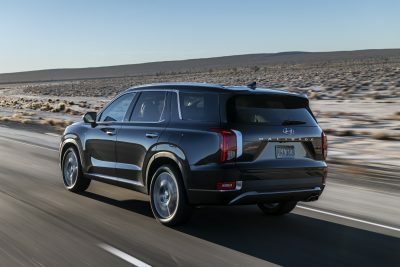 Dubbed “Lambda” in Hyundai speak, it is good for 291 horsepower and an equally robust 261 lb-ft of torque, with these figures putting it on par with many of its rivals, and this unique powertrain should allow the Palisade to handle business in a refined and sophisticated manner. 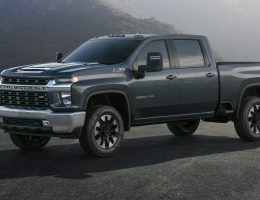 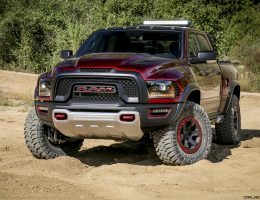 It also has slightly more displacement than some engines in the segment, and is a leg up on FCA’s Pentastar V6 in this regard. 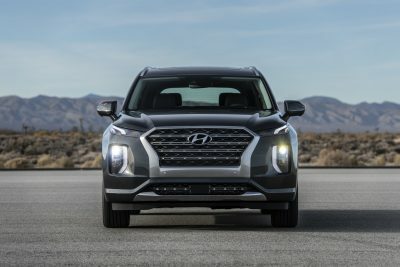 Fuel economy was a cornerstone in the Lambda’s development, and while Hyundai has not released formal fuel economy figures for the Palisade yet, the company claims that overall efficiency is higher than some SUV benchmarks thanks to redesigned pistons, a tweaked Atkinson cycle, as well as reduced friction in many areas of the engine. 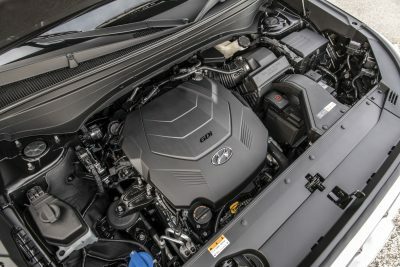 An eight-speed automatic is the sole transmission offering here, and like other Hyundai offerings that it is equipped to, buyers should be pleased with both the shift quality, and the precision that this transmission has to offer. 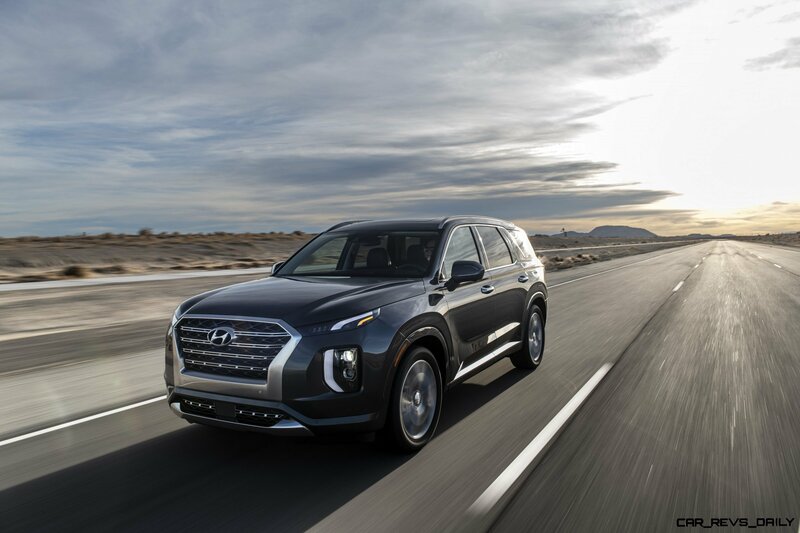 Front wheel drive is standard issue in the Palisade, but higher trims can be equipped with the latest iteration of Hyundai’s H-TRAC all-wheel drive system for true four-season capability. 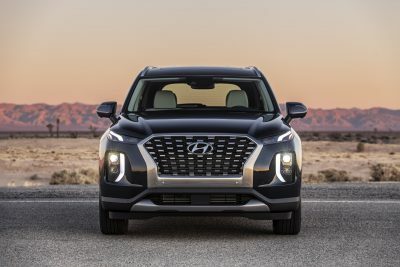 Hyundai also promises a 5,000 lb tow rating for the Palisade which should allow the big Hyundai to tow light to medium grade RV trailers. 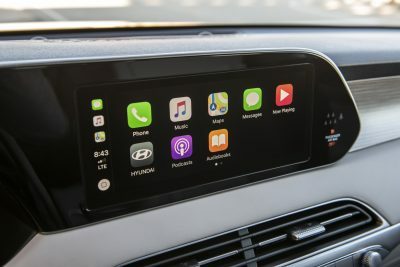 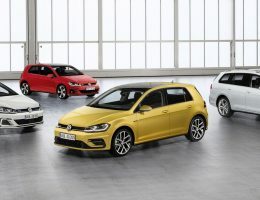 H-Trac also allows the driver to choose from three different drive modes, Snow, Sport, and Smart with each mode bringing something different to the overall driving experience. 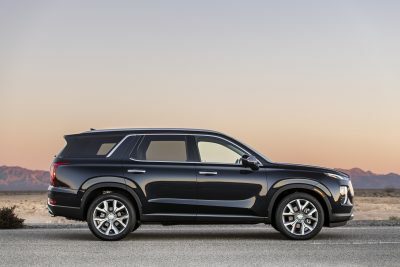 Look for snow mode to especially appeal to buyers that live in the snow belt. 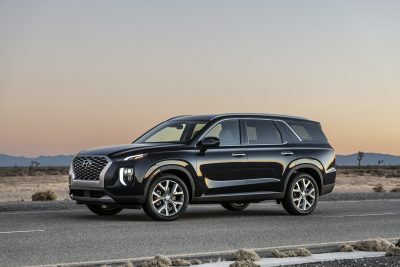 With the 2018 Palisade, Hyundai is on track to fully unifying its SUV lineup, and has given itself the perfect flagship model to fully top out the model lineup. 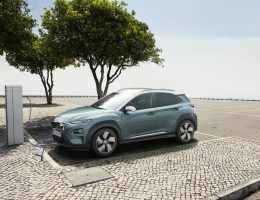 We look forward to seeing more from Hyundai and its long term SUV inspirations, especially the promised new model that the Korean auto giant will be unveiling next year. 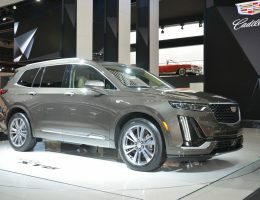 We are also curious to see if the N performance brand will have anything in store for Hyundai’s SUV offerings? 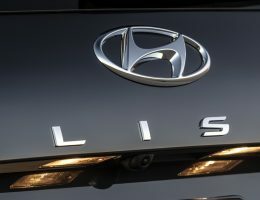 While it is currently limited to the Veloster N in the U.S. performance SUVs are becoming a very popular segment of the broader performance car market, and Hyundai could perhaps try to capitalize on some of this pent up demand in the near future with certain models.